Crock-Pot 6-Quart Slow Cooker Just $35.50! Down From $60! PLUS FREE Shipping! 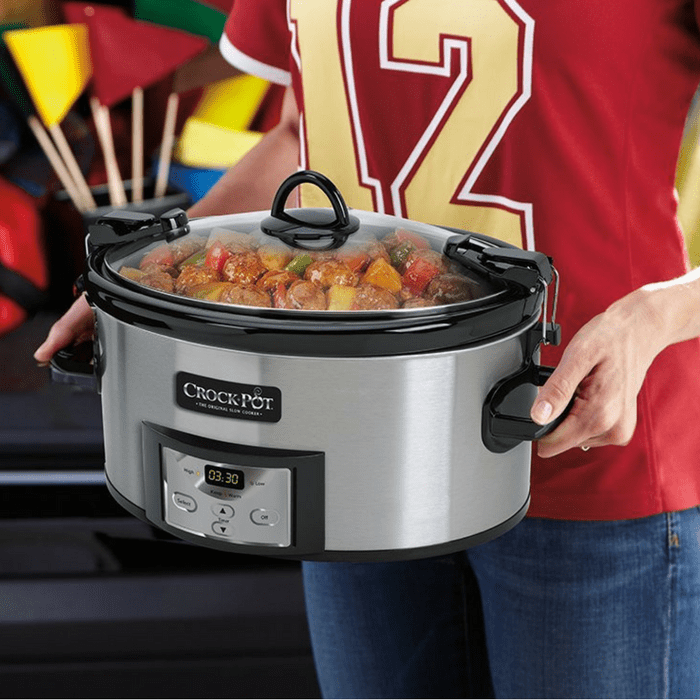 You are here: Home / Great Deals / Amazon Deals / Crock-Pot 6-Quart Slow Cooker Just $35.50! Down From $60! PLUS FREE Shipping! At Amazon, get Crock-Pot 6-Quart Programmable Slow Cooker for just $35.50 down form $59.99 PLUS FREE shipping! The Crock-Pot Cook and Carry Slow Cooker is an easy way to take your slow cooked meal on the road. The easy locking gasket lid will help you get to your final destination without making a mess. The SCCPVL610 is ideal for all your favorite slow cooker recipes, with 6-quart capacity and programmable time settings to accommodate varied cooking needs and time constraints. Awesome!